Sweetie with her OnaWhimm Cat Toy! Last year at this time, I was busy bugging Carrie (glitzconcepts.etsy.com) to post ideas for events, coffee get togethers and meetings for the newly formed EtsyRAIN Meetup. A few weeks (days?) later, Carrie made me an Assistant Organizer so I could quit bugging her and put my many ideas to work…smart gal! Eventually, Carrie got so super-busy building her business, raising the ever-so-adorable Finn and other Mom-type stuff, she handed over the Organizer role to me…and I’ve been LOVEing every minute of it! I realized that even though we are oftentimes at the same craft show events, we’re usually so busy selling our own stuff that we never have time to actually buy each other’s work! The answer – The Inter-EtsyRAIN Shop/Swap! Everyone brought some leftover craft supplies, some samples of their own work, displayed it on tables and had a great time talking, shopping and swapping goodies without the interruption of “customers”…a good time was had by all! 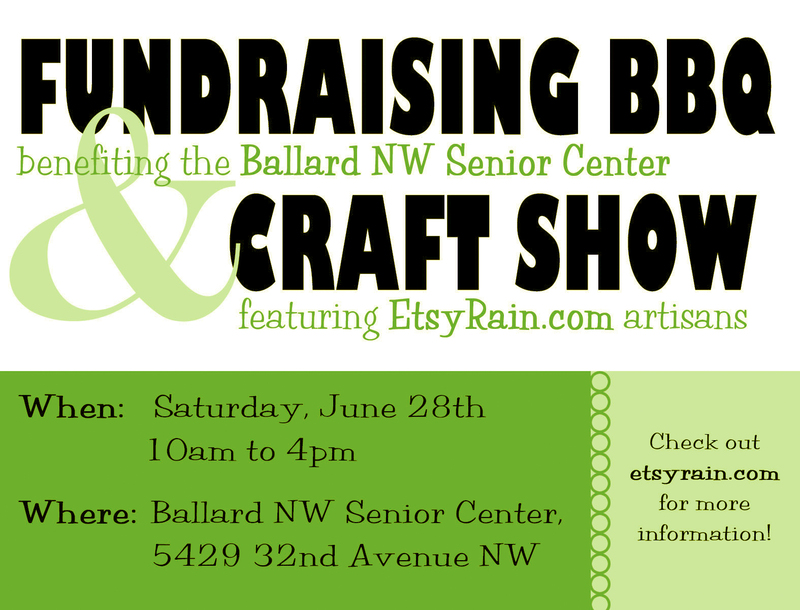 The Ballard Senior Center/EtsyRAIN Craft Show was fantastic…our second-ever EtsyRAIN produced member’s only show! We had about 25 vendors and the Ballard Senior Center had a BBQ fundraiser. It brought some much needed awareness of the center to the local community and we had a great time too! 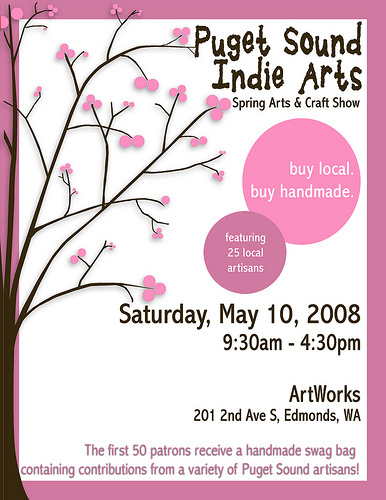 A few weeks later, a bunch of EtsyRAIN members had their own booths at the Mill Creek Festival — ArtbyNorm, RozsSaxSeattle, WovenChains and WorldofWhimm were nearby…and ItsMadeAtHome / TomatoTomato were just down the row. With so many familiar faces around, it turned out to be a great show. Upcoming EtsyRAIN events include collaborative booths at Showcase Tacoma on August 8th & 9th and GreenEdmonds on September 13th as well as a big EtsyRAIN show at St. Edward State Park in Kenmore on October 12th! There is SO much more to share…but that will have to wait for another day. 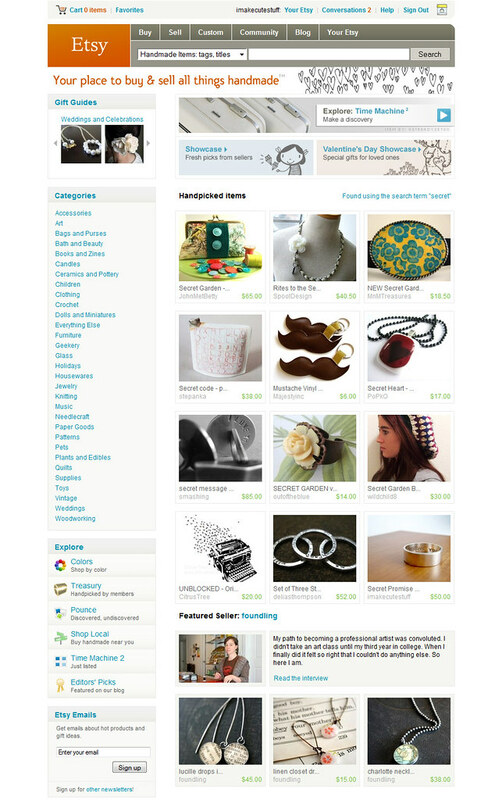 Comments Off on EtsyRAIN’s 1st Birthday!